TAMPA, Fla. — The Florida Aquarium is in the running to be recognized in USA Today’s 10Best Readers’ Choice 2018 "Best Aquarium" contest. The Florida Aquarium in Tampa is one of the 20 nominees, according to USA Today's website . 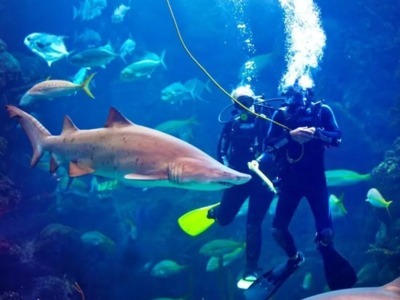 Their competition includes the Georgia Aquarium and the Tennessee Aquarium. The contest gives voters until 12:00 p.m. on Monday, April 30 to vote for the nominee of their choice. According to the website,voters can vote once per day until the polls close. The 10 best winners will be announced on Friday, May 4. For more information or to vote, click HERE .